(MP408). Commander Eric Tufnell RN (1888-1979). 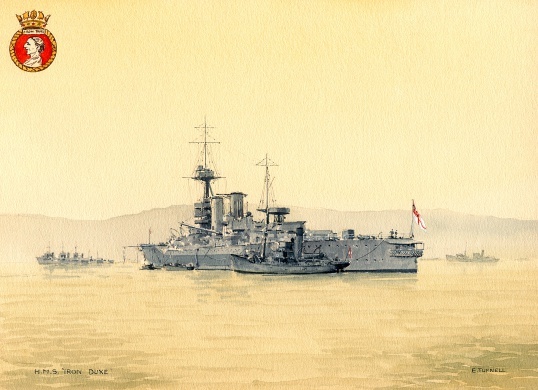 Watercolour; signed and annotated IRON DUKE with crest added in watercolour by the artist.